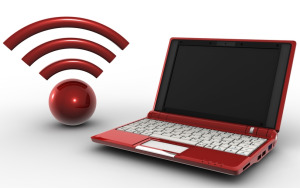 Laptops used to be the only devices on the company's wireless network. 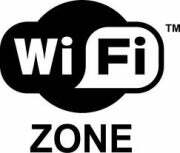 But Wi-Fi has become a ubiquitous standard used by a host of devices--including desktop PCs, laptops, netbooks, tablets, smartphones, printers, storage devices, and projectors. To determine whether you need to update or improve your Wi-Fi network, you need to know which new features are available for recent Wi-Fi devices, and how they can improve the services you provide. Wi-Fi speeds have improved from the maximum of 11Mbps with 802.11b to as much as 300Mbps or more with the 802.11n standard. Since signal strength can have a major effect on speed, creating better coverage areas through multiple access points (APs) and improved antennae can do as much to improve speed as a standard with higher throughput. There are a couple of caveats with the higher speeds. First, 802.11n has gone from 50Mbps to 300Mbps through the use of techniques including multiple-channel multiplexing, but those may not be compatible from brand to brand, causing devices to default back to the base level throughput. Further, there are two frequency bands, 2.4GHz and 5GHz. Many APs will use both frequencies, but doing so on a single AP can reduce throughput. Many APs have multiple antennae, often configured in arrays (most commonly 3x3), allowing for improved coverage in areas near walls, better range, and stronger reception at longer ranges. The multiple antennae can typically be used in one of two modes, either as an array or as separate antennae for the two different frequencies. You may want to have different APs for the two frequencies to improve coverage and optimize throughput. Using different APs can make larger gains in throughput than using multiple APs set up for dual frequencies. Every administrator should set up security on APs. In fact, some vendors, including D-Link and Belkin, have changed the default setup of username admin with a blank password to a setup with a random username and password out of the box. It's still a good idea to enable additional security. Many APs allow for multiple groups of users, so you can set up a separate guest network that allows access to the Internet, but not to local resources such as file servers and printers. Security standards have become easier to set up and harder to crack over the last few years. The newest standards can automatically exchange keys with new devices on the Wi-Fi network, but may not work as easily with all devices with older operating systems such asWindows XP. When there are dozens or hundreds of devices on the network, with some doing other business-related tasks while others stream recreational videos, it's useful to guarantee that the important applications get sufficient bandwidth. Some access points can set up quality of service (QoS) to ensure that specific applications or protocols receive the bandwidth they need, while throttling or restricing inessential applications. One of the reasons an enterprise-class AP can cost several times more than a wireless router advertising the same speed is that it offers additional features. Such management tools can display all APs on your network; track which devices and users are connecting; identify users, devices or APs that shouldn’t be there; and find unauthorized devices to help you determine whether someone brought in a device from home or if a hacker has penetrated your network. Newer devices can handle higher throughput; better coverage, signal strength, and security; and even segregate traffic to protect your wired network from unauthorized users or bandwidth-hogging traffic. If you’re getting complaints about the network from users of Wi-Fi devices, review the new devices that are available, and see which ones will best fit your needs. We will not use your contact information for marketing or any other purposes other than this drawing. Read more about theBusiness Center Tech Audit Research Survey official rules here.